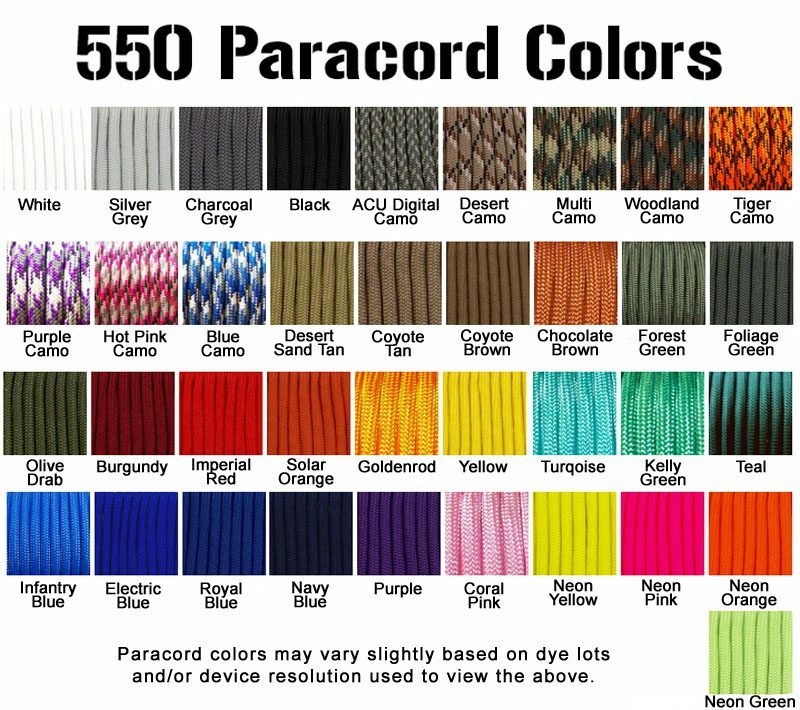 It takes roughly 7 1/2 feet of paracord to knot this item. 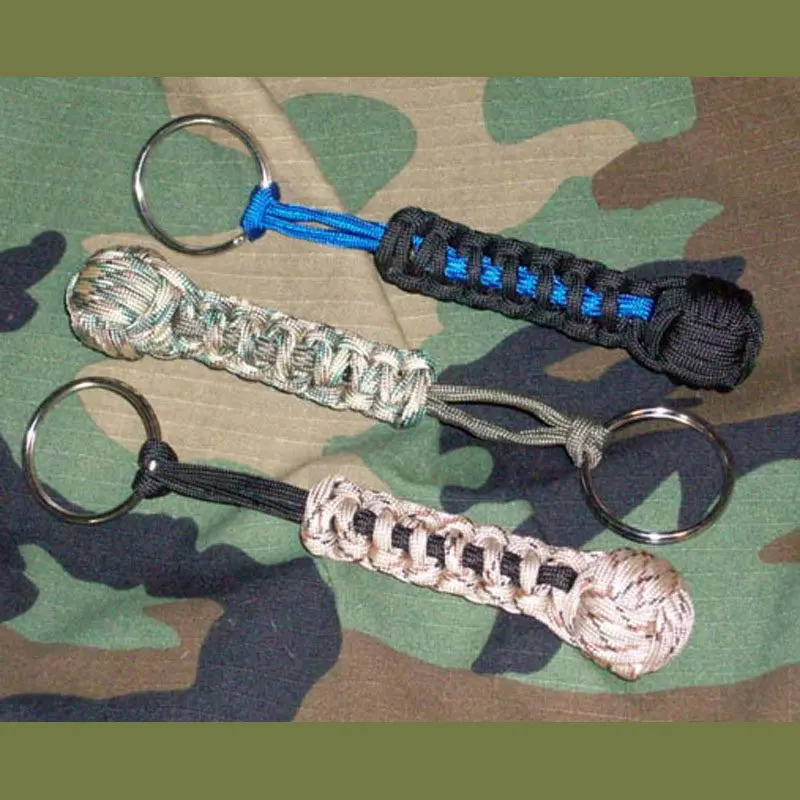 The Cobra knot work is about 3 inches long and ends with a two inch loop and 1 1/4 inchkey ring. If you don't want a stripe just designate the same color for both options.